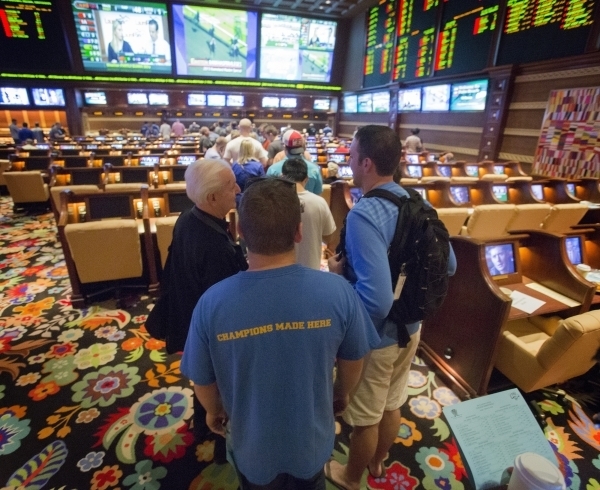 With approval of Senate Bill 443, Nevada is moving into uncharted waters in sports betting. The changes potentially open up a whole new range of opportunities at the intersection of business and gaming. And thatâs making bookmakers and casinos nervous. Just how nervous is likely to depend on how much sports gamblers want to bet through business entities. The concept is to increase the $3.9 billion annually wagered in Nevada by allowing wagers using money from out of state investors. One scenario envisions something like a mutual fund that specializes in tracking a specific team or sport. Another scenario envisions a massive expansion of handicapping services that could transition from selling advice to placing bets for investors, turning the concept of "sharp" and "square" money on its ear. In any case, the sports betting industry is likely in for a bumpy ride come the opening of football season. Officials hope to have the first applicants vetted before kickoff. The bill allows Nevada-based business entities to apply for registration for the purpose of betting on sports and racing in the stateâs sports books. It legalizes sports betting investment funds, similar to traditional investment mutual funds, that are registered and managed in Nevada but could include participants from outside the state. Sports book operator CG Technology, private gaming attorney Bruce Leslie and Greenberg Traurig gaming attorney Mark Clayton were the main authors of 443 and companion SB445 and helped push them through the Legislature, said Quinton Singleton, vice president, deputy general counsel and assistant secretary at CG Technology. 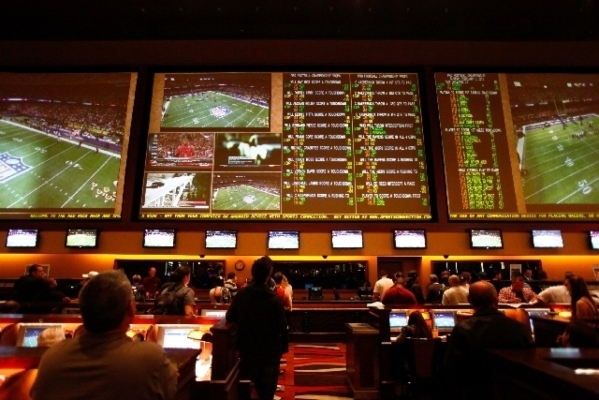 CG Technology operates the sports books at The Venetian, the Palazzo, The Cosmopolitan, Palms, Silverton, Hard Rock, the M Resort and Tropicana hotel-casino. CG Technology first proposed an entity-wagering bill in 2013. But that legislation died when the Nevada Gaming Control Board raised significant objections. The Control Board did not want to be responsible for vetting the entities created to invest in sports betting and worry about more scrutiny from the federal government, said Michael Alonso, a gaming attorney with Lewis Roca Rothgerber. To get around those concerns, the Control Board wanted an amendment that would put the onus on the sports book, race book, or other licensed entity to do all the vetting. The betting entity has to be created and organized under Nevada law. All of the owners, managers, directors and officers have to provide identifying information, such as a copy of a valid photo ID, proof they‘re older than 21, a Social Security number or other tax identification number, to the licensed entity. The information will allow the race or sports book to do a background check to make sure the bettor is suitable and not dealing with a criminal organization, Alonso said. 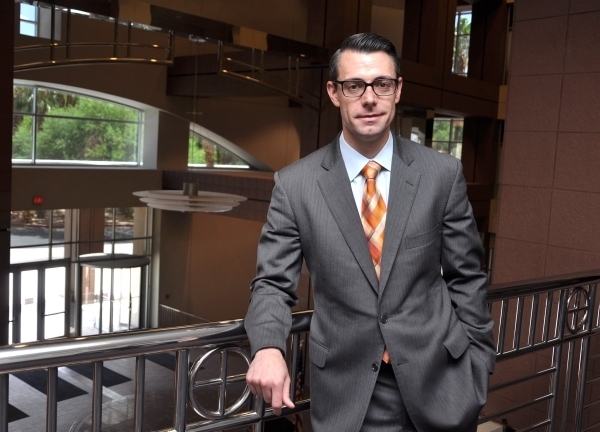 All transactions must go through a Nevada bank account or other financial institution that has a principal branch or agency relationship within Nevada, he said. "If you are meeting the requirements of the new bill, it basically provides an exemption within the law to allow for a person to make a designated individual, which has been vetted by the race or sports book, to make a wager on behalf of the entity and allows the race or sports book to accept that wager," Alonso said. "It is a real point they had to clarify to make sure they werenât walking into an illegal activity." The best way to think of how this will work is to imagine it as a mutual fund that bets on certain teams. There could be a Dallas Cowboys fund or a Cleveland Cavaliers fund. If you can imagine a fund based around a certain pro sports team, there will probably be one. "That is exactly it," Singleton said. "When we testified about it and when we drafted the concept, it was trying to provide alliteration to something that people would be familiar with in the world. Effectively, what you will find, as a very basic business model, an expert in the Cavaliers will set up a Cavaliers fund in Nevada. Clayton, one of the attorneys who helped draft the legislation, said sports wagering is a data intensive business. There are several variables that determine how the betting lines are set, and there are people who have developed models to crunch the data and believe they can more accurately predict who is going to win. He points to one website that runs 50,000 computer simulations of a game and predicts who will win based on those percentages. But how will this be different from the radio and newspaper ads offering 5-star diamond picks for $200? "Most of this will be smart people who have developed data models that will have better predictives," Clayton said. Clayton said the entity-wagering bill is compliant with all federal and state laws. The Securities and Exchange Commission will not get involved in these transactions unless the wagering entity starts offering stock options. A SEC official confirmed that statement. Another concern is with the Interstate Wire Act, which makes it a crime for anyone to transmit wagers or information that assists in the placements of wagers on any sports contest using a wire communications facility, according to a blog post by David O. Klein, a gaming attorney with Klein Moynihan Turco of New York City. But what if an investor finds out Dallas Cowboys quarterback Tony Romo woke up Sunday morning with a case of the flu before this information was made public? "Let‘s say I‘m the designated official and you are one of the investors in New York," Clayton said. "You cannot call me up and say put $50,000 on the Cowboys tonight. All of those decisions are mine and have to be made and wagered in Nevada. The bill cannot facilitate cross-border wagering, which is why you have to disclose who the person is making the wagers and cannot take instructions from anyone who is in the investor group or otherwise." Some of the other sports books are not sure about the new laws. Sports books operators from the Westgate, MGM and Station Casinos declined to comment. Operators at other Las Vegas sports books did not return calls or emails. Johnny Avello at Wynn Resorts told The Associated Press in June that the law isnât so clear-cut and casinos arenât sure whether they will accept the business bets yet. Jeff Silver, a gaming attorney with Dickinson Wright‘s Las Vegas office, said some sports books may not want to take the risk of accepting entity wagering because of the risks of vetting the entity. Plus, there is also the risk of accepting those wagers, which could present a larger risk than the book is willing to accept. "The effect of this bill is unknown at this point in terms of the use of this particular bill," Silver said. "We really donât know the affect this will have because it depends upon the books themselves to actually provide the resources to accept the wagers. They have to satisfy themselves that all conditions and requirements of the new law have been met. They are putting themselves somewhat at risk. "So, we‘ll wait and see what CG Technology does and what some of the other books do that might have an interest in allowing these wagers to know what kind of outcome we are going to have."